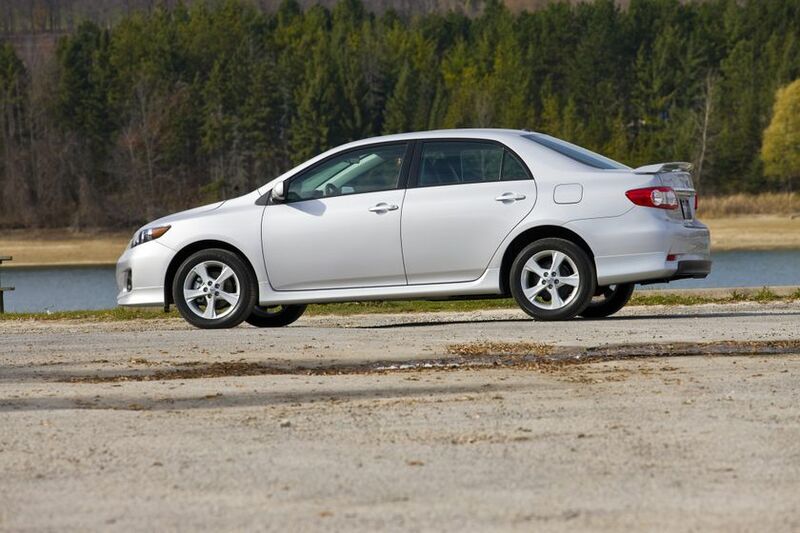 (TORONTO) – The Toyota Corolla, significantly refreshed for the 2011 model year, continues to raise the bar when it comes to safety, styling, fun-to-drive performance, fuel efficiency and proven value. 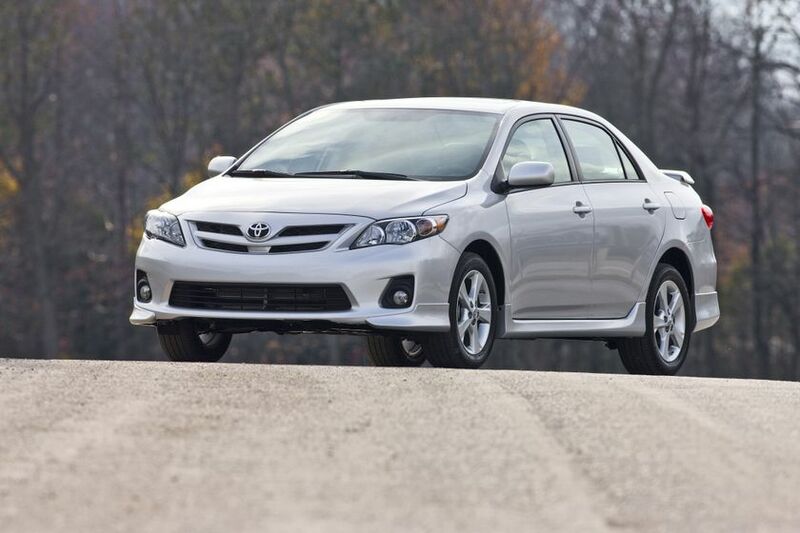 In addition to a restyled, sportier exterior, Canadian drivers will also have the added confidence of Toyota’s Star Safety System, now standard on every 2011 Toyota, including Corolla. 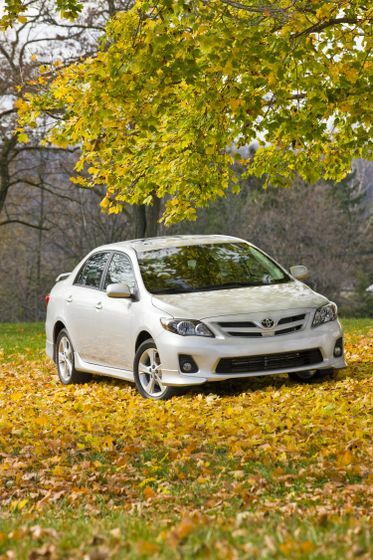 With the Star Safety System as standard, the 2011 Corolla delivers added peace of mind to Canadian drivers. Along with a choice of four front-wheel-drive models featuring an option of two engine sizes, manual or automatic transmissions, new convenience features and updated options packages for 2011 - there’s a Corolla for everyone. Two new exterior colours - Sandy Beach Metallic and Nautical Blue Metallic. The Corolla is engineered to absorb and disperse impact energy throughout the entire body structure, including front and rear crumple zones. Strengthened door beltline reinforcements help share the impact load, which in side impacts is also directed to the underbody. All Corolla models are equipped with six standard airbags, including advanced front airbags, front seat-mounted side airbags, and front-and-rear side-curtain airbags. Seatbelt pretensioners retract the seat belt at the time of a frontal collision, and the dual-stage force limiter helps limit the seat belt force applied to the passenger’s chest. Front seats integrate active headrests. If the vehicle is struck from the rear with sufficient force, a cable-actuated mechanism in the active front headrest moves the headrest upward and forward to help limit the movement of the occupant's head. 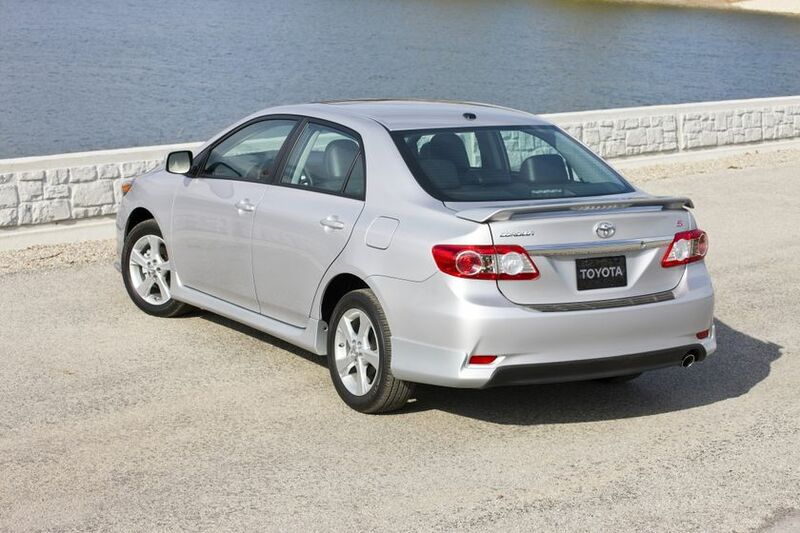 The Corolla also features an energy-absorbing steering column. Two engine sizes let Canadian drivers pick the performance they want and the efficiency they need. 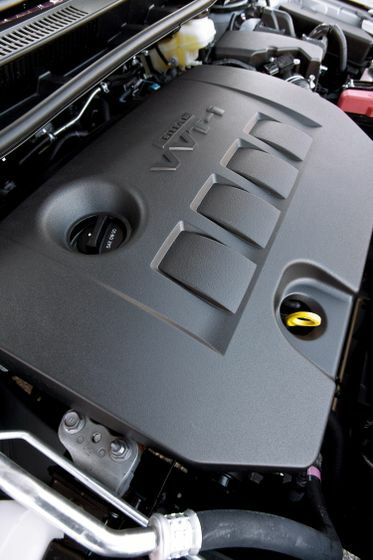 The Toyota Corolla CE, Corolla LE and Corolla S are fitted with a powerful yet efficient 1.8L four-cylinder engine with Dual Variable Valve Timing with intelligence (Dual VVT-i) that delivers 132 peak horsepower and up to 128 lb-ft of torque. For even more driving fun, the Corolla XRS sports a 2.4L four-cylinder with Variable Valve Timing with intelligence (VVT-i) that generates up to 158 horsepower and 162 lb-ft of torque. Toyota engineers have designed both engines for performance and efficiency with systems such as the Direct Ignition System (DIS) and Electronic Throttle Control System with intelligence (ETCS-i). All Corolla models achieve a Tier 2 Bin 5 emissions rating. Can a compact sedan be fun to drive? Absolutely, especially when sophisticated engineering and advanced technology deliver a driving experience. Every Corolla features highly responsive Electric Power Steering, which uses a compact motor, speed reducer and torque sensor built into the steering column. The system varies the amount of assistance according to engine RPM and vehicle speed. The result is appropriate weight and responsiveness at higher speeds, and light effort at low speeds. Electric power steering reduces parasitic losses to the engine, thereby aiding fuel economy. It is also environmentally efficient, because it does not require hydraulic oil. The smooth-riding Corolla is built around a stiff body structure that relies on high tensile-strength steel, gussets and cross members for its strength, rigidity and lightweight construction. Front suspension is composed of a compact, rigid L-arm-type MacPherson strut with a stabilizer bar. The Corolla’s torsion beam rear suspension employs a coil-over-shock arrangement that allows efficient packaging along with solid handling and excellent ride comfort. 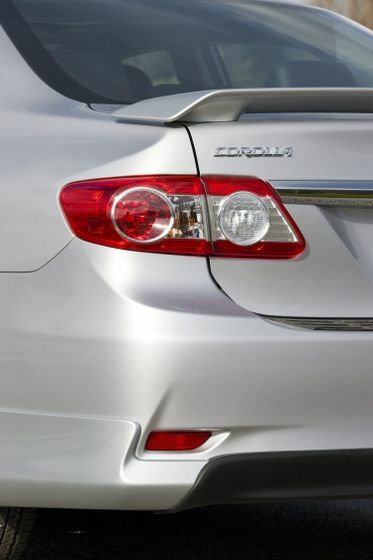 The Corolla XRS has an enhanced suspension with a front strut tower bar, and a rear that is sport tuned. The Corolla’s design, created with input from styling studios in Turin, Italy, strikes a sporty profile. New 2011 exterior-design changes were made on the front bumper, radiator grille, front lower grille, headlamps, trunk lid, rear license garnish, rear combination lamp, rear bumper and reflex reflector. The Corolla provides room for five, and its 12.3 cu. ft. trunk rivals midsize cars’ trunks in capacity. The sporty profile is the result of pulling the A-pillar forward and the C-pillar rearward, which also enhances aerodynamic performance for optimal fuel efficiency. Just above the dense mesh grille, an interlayer of anti-chipping coating is used to help minimize paint damage from stone chips. The side-view mirrors have increased in size for excellent visibility. 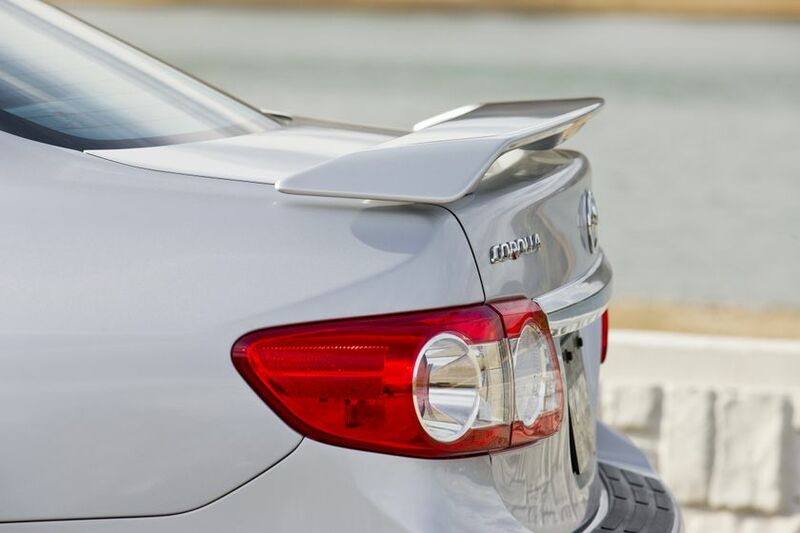 The standard body kit on S the model adds a sporty look while also enhancing aerodynamics. The kit includes a front spoiler, rocker moldings, and upper and lower rear spoilers. 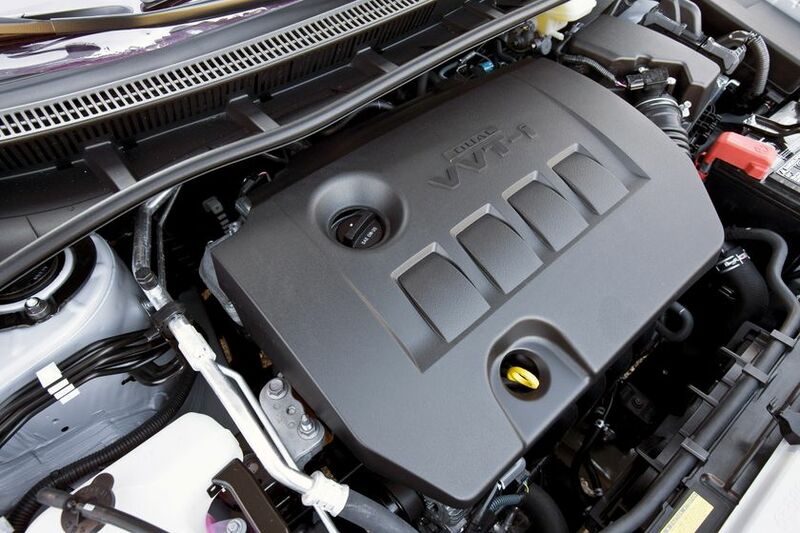 Engine undercovers improve air management under the car on all models. 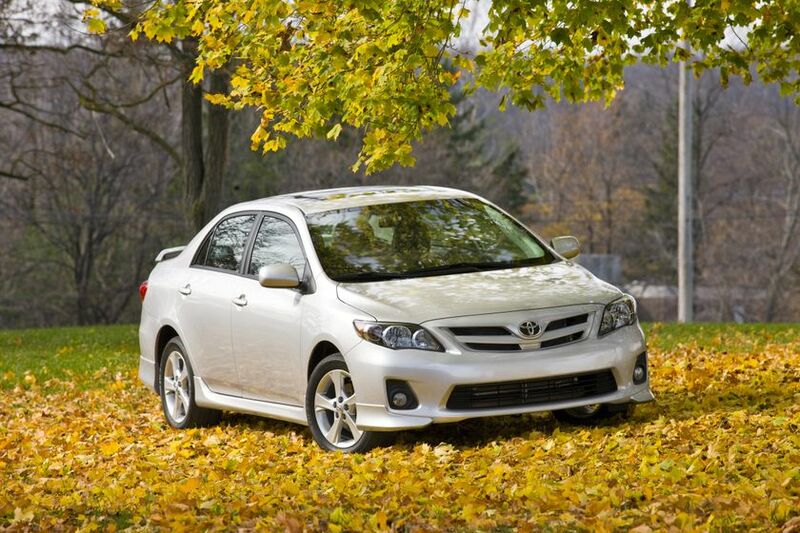 The 2011 Corolla features a number of new interior design features that enhance its distinctive style. A new seat color and pattern enhances Corolla’s contemporary looks, while the combination meter design on Corolla S and XRS models has been changed with the aim of enhancing clarity. The instrument panel upper and door trim upper color has been changed, revealing a sophisticated cabin appearance. A newly designed steering wheel on Corolla S and XRS models provides a sporty image. The Corolla’s driving position and front seats are tailored to a wider range of driver heights. A standard tilt and telescope steering wheel in all models makes it easy for taller drivers to find a comfortable position. A multi-information display presents a variety of information, including outside temperature, instant fuel economy, average fuel economy, average speed and travel distance. 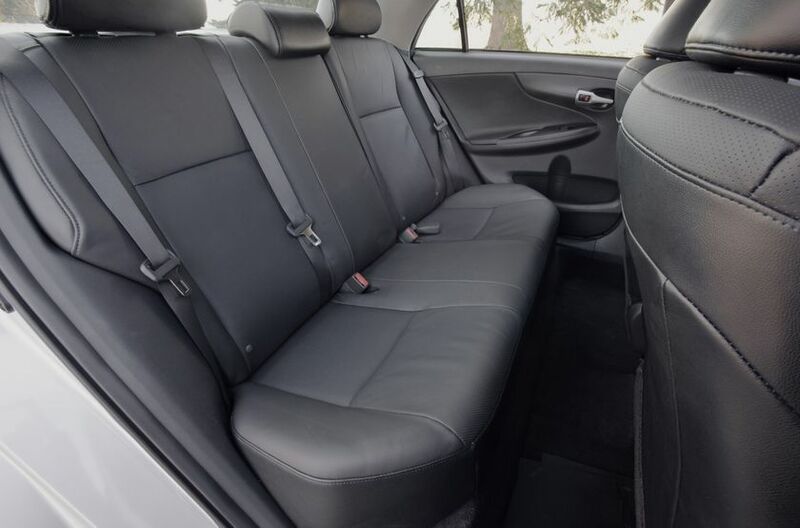 The Corolla’s rear bench seat offers space and comfort for three adults. Careful attention to exhaust system routing provides a nearly flat rear floor, enhancing comfort for the middle passenger. A variety of useable, easy-to-reach storage spaces provide convenience and usability inside the Corolla. These include centre console side pockets; a storage box above the usual glove box; front and rear door pockets that can safely hold 500 mL bottles; a console box with a large-capacity main tray and a smaller accessory tray; and a rear-seat centre armrest with an integral drink holder. 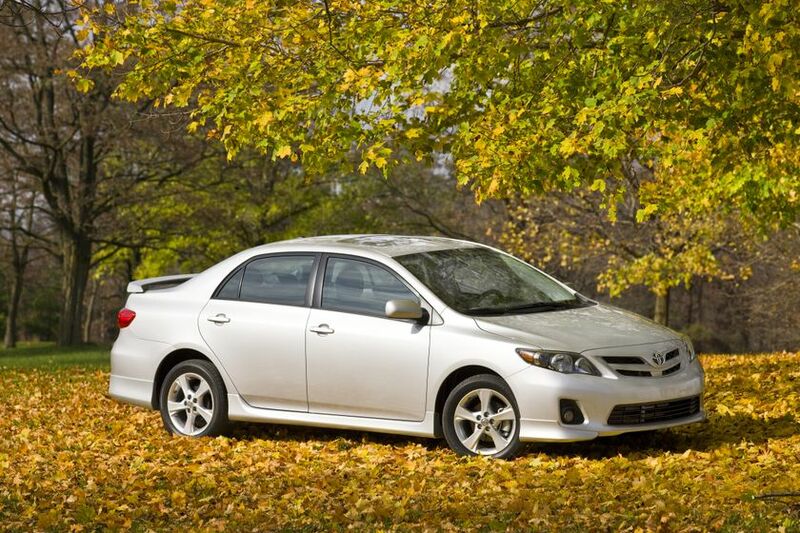 Every 2011 Corolla is well equipped with comfort, convenience and style amenities. All models feature: Audio systems with a CD player with MP3/WMA capability, auxiliary audio input jack, title display, digital signal processor, and more; a dust/pollen/odour filter and rear seat heater ducts; a 60/40 split fold-down rear seat; an instrument cluster featuring tachometer, outside temperature gauge, and digital clock; a tilting/telescoping steering column; dual vanity mirrors; and tinted glass; plenty of in-cabin storage, including opening door pockets, upper and lower glove box, retractable coat hooks and purse hanger, centre console storage pockets, front and rear door integrated bottle holders, a driver’s coin case compartment, door map pockets, side storage compartments in the trunk, front and rear cup-holders and more; a 12-volt accessory power outlet; dual power remote heated and foldable exterior mirrors; and more. 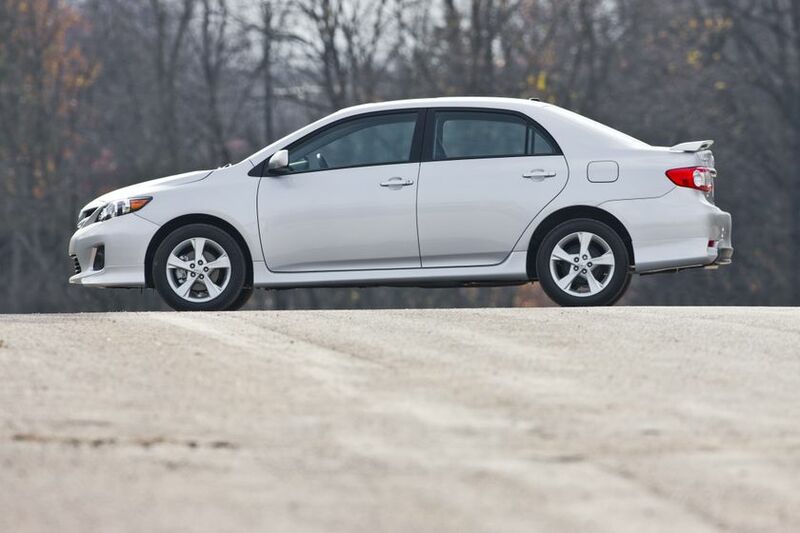 The 2011 Toyota Corolla CE features a four-speaker audio system; 15” steel wheels; front and rear splash guards, intermittent wipers, and more. 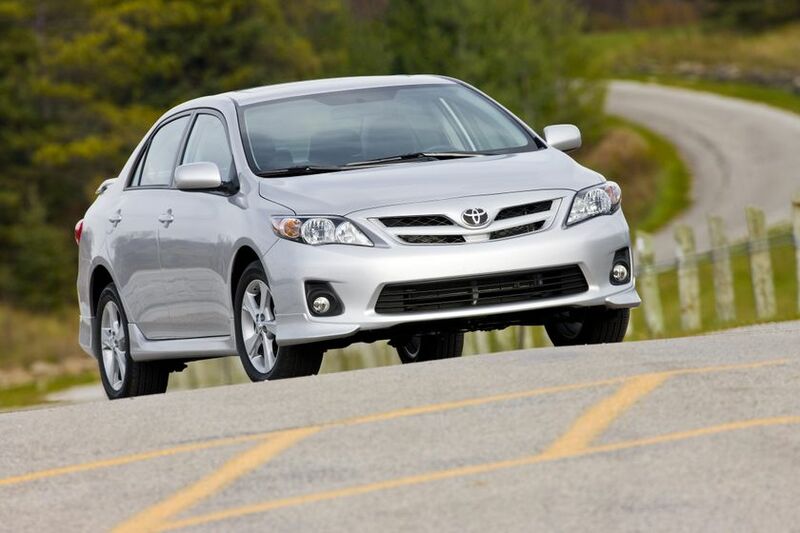 Newly added for 2011 as part of the Toyota Star Safety System are VSC and Traction Control safety technologies. The Corolla CE may be ordered with the Convenience Package, which adds: Air conditioning, power door locks with keyless entry, a tire pressure monitoring system, and more. The Corolla CE may also be ordered with the Enhanced Convenience Package, which builds on the Convenience Package by adding power windows with driver’s side auto down function and cruise control. 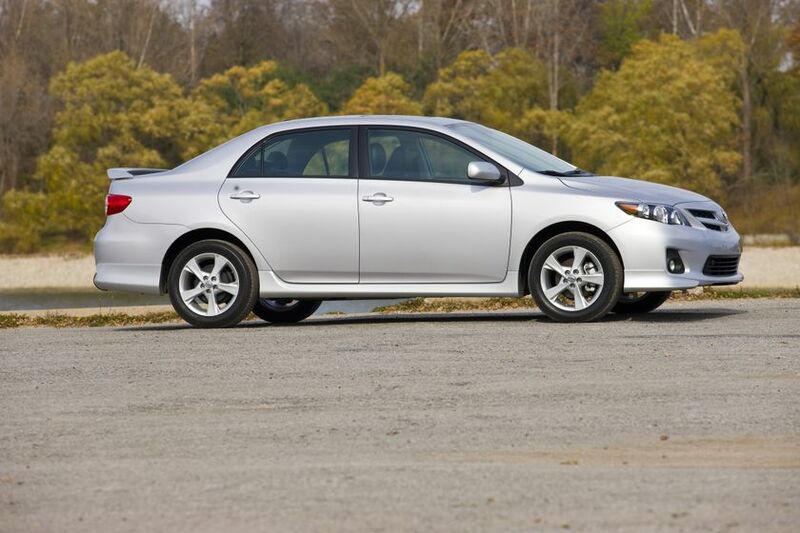 New features for 2011 on the Corolla LE include redesigned 16-inch aluminum alloy wheels and scuff plates. The Upgrade and Premium packages are also newly created for 2011. In addition, the 2011 Toyota Corolla LE features a six-speaker audio system; air conditioning; power door locks with keyless entry and key lockout protection; interior woodgrain trim; chrome vent knobs; a front passenger seat with seatback pocket; cruise control; a tire pressure monitoring system; front and rear splash guards, variable intermittent wipers, fog lamps, and more. 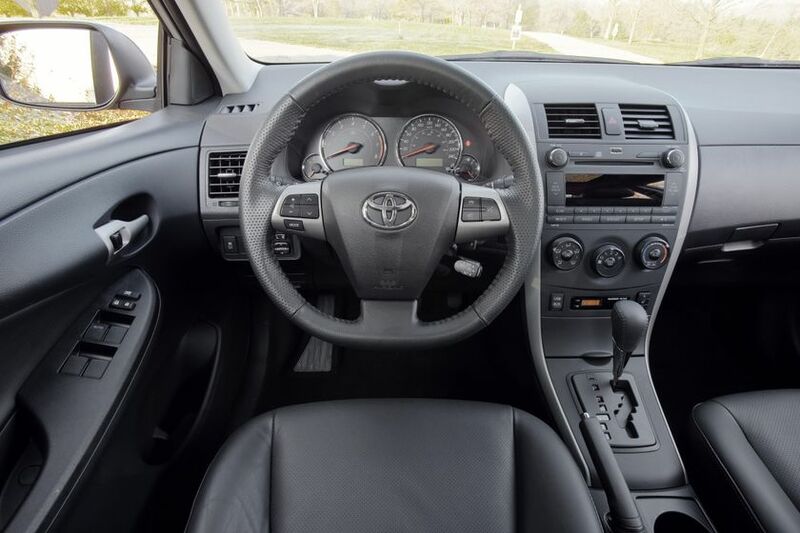 The Corolla LE may be ordered with the Upgrade Package, which adds steering wheel-mounted audio controls, Bluetooth capability, integrated XM Satellite Radio, an eight-way power adjustable driver’s seat, and heated cloth front seats. The Corolla LE may also be ordered with the Premium Package, which builds on the Upgrade Package with the addition of the Toyota Smart Key system with push-button start; a power moon roof, automatic air conditioning, and an overhead console box. New features for 2011 on the Corolla S include: a VFD 6 speaker audio system with integrated XM satellite radio, USB audio input and Bluetooth capability; chrome rings on gauges; redesigned steering wheel with flat bottom; and new 16-inch aluminum alloy wheels. In addition, the sporty 2011 Toyota Corolla S features steering wheel-mounted audio controls; sport front seats with sport fabric material; a leather-wrapped steering wheel; air conditioning; power door locks with keyless entry and key lockout protection; unique scuff plates; chrome vent knobs; cruise control; a tire pressure monitoring system; a full skirt package; black headlamp surround; rear spoiler; variable intermittent wipers; fog lamps; and more. The Corolla S may be ordered with the Moon Roof Package, which adds a power moon roof and overhead console box. 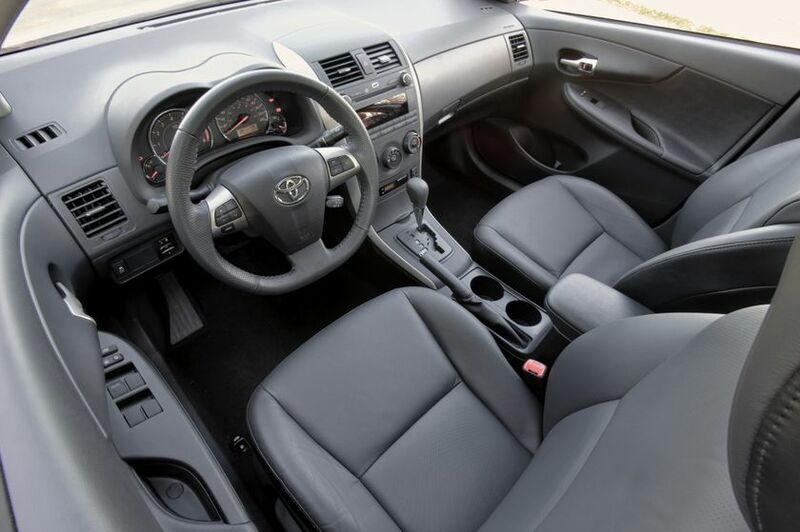 The Corolla S may also be fitted with the Leather and Moon Roof Package, which builds on the Moon Roof Package with the addition of leather seat surfaces and heated front seats. New features for 2011 on the Corolla XRS include: a VFD 6 speaker audio system with integrated XM satellite radio, USB audio input and Bluetooth capability; chrome rings on gauges; and a new steering wheel design with flat bottom. In addition, the performance-oriented 2011 Toyota Corolla also features a full range of amenities, including a steering wheel-mounted audio controls; sport front seats with sport fabric material; a leather-wrapped steering wheel; air conditioning; power door locks with keyless entry and key lockout protection; metallic dash accents; XRS scuff plates; an overhead console box; chrome vent knobs; cruise control; 17” aluminum alloy wheels with wheel locks; a tire pressure monitoring system; a full skirt package; power moon roof with sunshade; black headlamp surround; rear spoiler; variable intermittent wipers; fog lamps; and more. 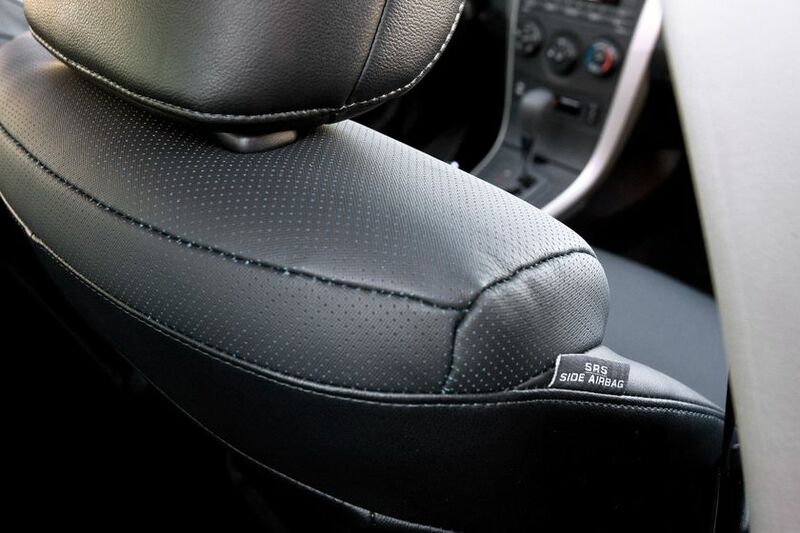 The Corolla XRS may be fitted with the Leather Package, which adds leather seat surfaces and heated front seats. 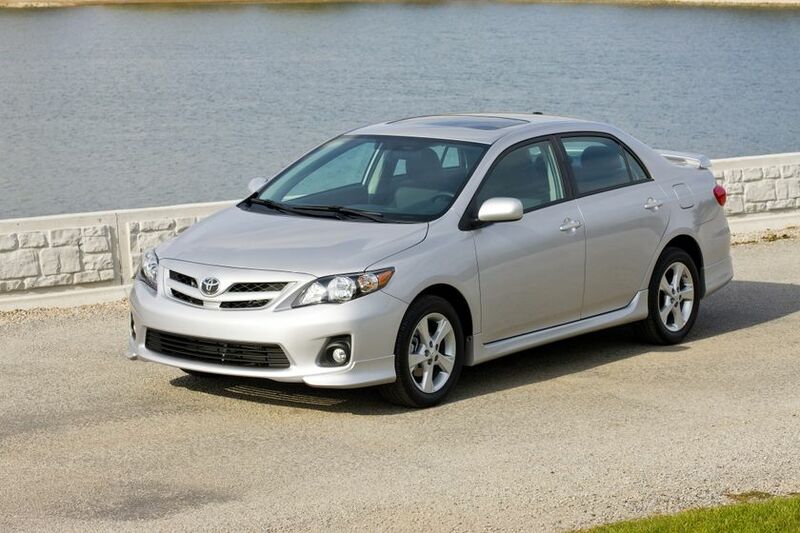 The 2011 Toyota Corolla will be on sale at Toyota Dealers across Canada in early January, 2011. 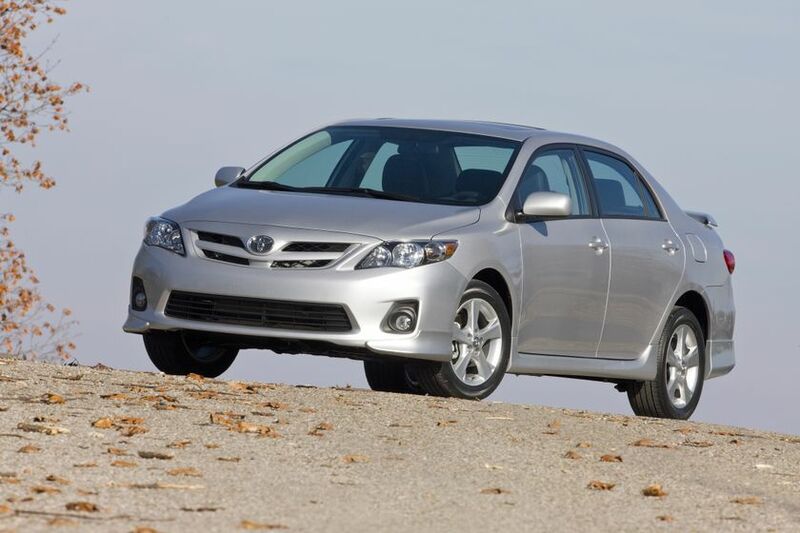 Pricing for the 2011 Toyota Corolla will be announced closer to launch. 1Vehicle Stability Control (VSC) is an electronic system designed to help the driver maintain vehicle control under adverse conditions. It is not a substitute for safe driving practices. Factors including speed, road conditions and driver steering input can all affect whether VSC will be effective in preventing a loss of control. 2Brake Assist is designed to help the driver take full advantage of the benefits of ABS. It is not a substitute for safe driving practices. Braking effectiveness also depends on proper brake-system maintenance and tire and road conditions. 3Smart Stop Technology operates only in the event of certain simultaneous brake and gas pedal applications. When engaged, the system will reduce engine power to help the brakes bring the vehicle to a stop. Factors including speed, road conditions and driver input can all impact stopping distance. Smart Stop Technology is not a substitute for safe and attentive driving and does not guarantee instant stopping.